Denomination : 17 mm Bronze. Mint : Petre in Jordan. Size : 16.5 x 18.0 ;mm. Weight : 3.47 grams. Grade : gVF. Very dark green (nearly black) with lighter earthy highlights. 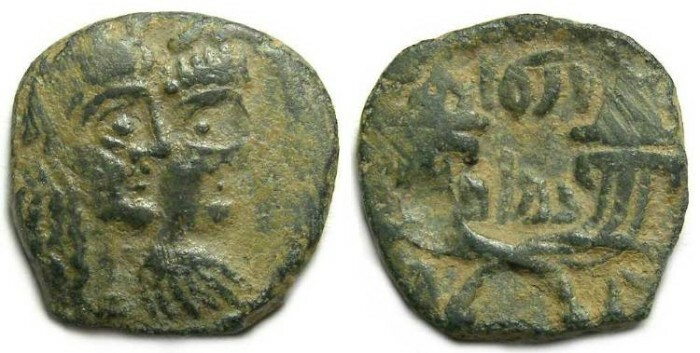 Obverse : Jugate heads of Rabbel II and Queen Gamilat right. Reverse : Nabataean inscription within crossed cornucopiae.